Minimalism is a style for those who look to the future. The validity of this statement is confirmed by many designers. They believe that the modern man will quickly rest and recuperate after a busy working day in a spacious room, free from unnecessary details, details and things. 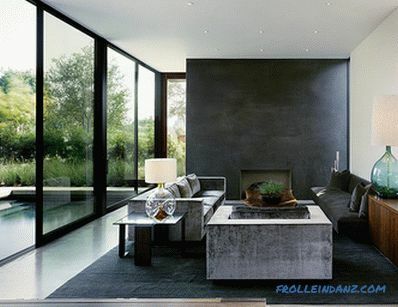 However, it is not as easy to embody minimalism in the interior as it seems at first glance. Creating an interior, it is important to feel very subtle the difference between ascetic and functional life. 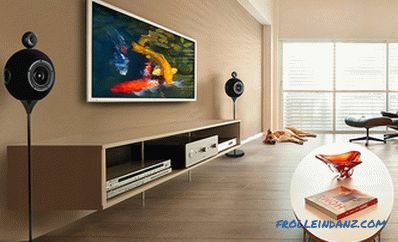 After all, the interior in the style of minimalism is not necessarily an empty open room with a couch in the role of all the necessary pieces of furniture. Not. Minimalism allows you to create a convenient, comfortable and functional interior, which uses a small amount of quality items. The concept of minimalism arose from the Latin word minimus, which translates as least. That is, in the interior of the premises using the smallest combination of colors, textures, shapes and objects. 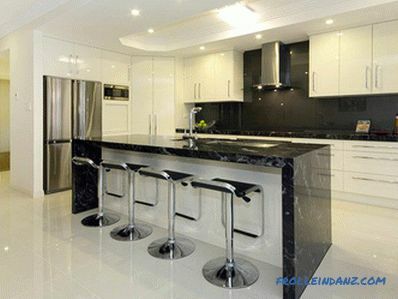 The most popular minimalist design color scheme is the contrast of black and white. The most suitable shape is streamlined or rectangular. The most current texture is a glossy smooth surface. Minimalism is a unique phenomenon in the history of art. It is impossible to date it, since it never existed on its own, did not occupy a certain historical period of time, such as Baroque or Gothic. 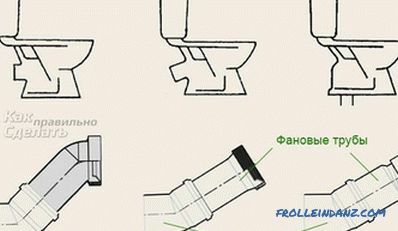 It existed in parallel with them, was used in architecture, interior design, painting, music, and even household appliances. The use of the necessary minimum of details, each of which occupies the space strictly reserved for it, creating the harmony of space, this is what defined minimalism from the beginning of the twentieth century. The forerunner of style is considered constructivism, which is characterized by a clear organization of space, the use of technical innovations and achievements of modern science, a preference for clear and functional constructions. He dominated in America and Europe in the 20-30 years of the twentieth century, dominating the interiors of city apartments and industrial facilities. The basic principles of constructivism had a strong influence on the progenitor of minimalism - Frank Lloyd Wright - an American architect. He designed simple and functional homes for ordinary workers. However, they are liked by many lovers of everything modern. Homes and interiors, devoid of decor, pomp and romantic understatement, became especially popular in the second half of the twentieth century. 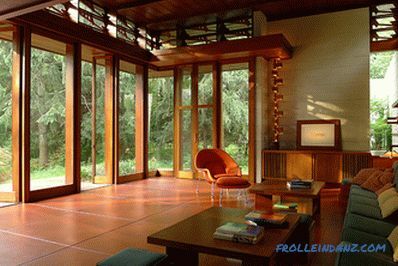 The interior of the house designed by F. Wright. 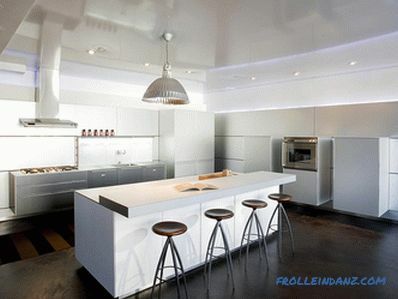 additional free space, which is organized by the interior design in the style of minimalism. The interior of the house is open-plan. 1. Use as a basis for a spacious, open-plan space. 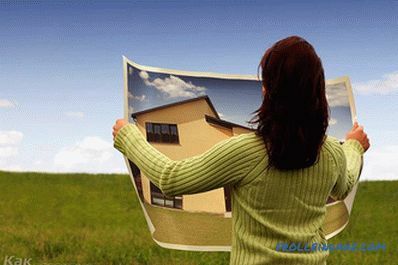 If the room has partitions, piers or is characterized by an abundance of small rooms, then it will be converted. They remove all the extra nooks, making the space free and open. If it is technically impossible to demolish all the walls, they are partially dismantled. That is, on the site of small doorways, wide arches are organized; several supporting columns turn the wall. 2. 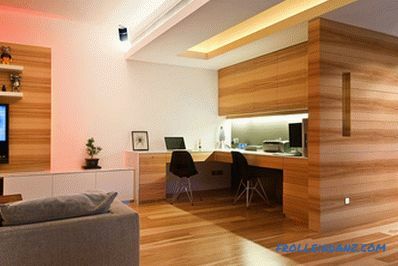 Creating a comfortable environment with diverse lighting. 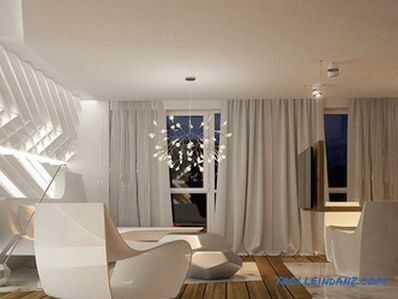 Light plays one of the main roles in creating the character and image of the room. For example, the use of a central chandelier and soft spot lighting allows you to highlight the main and secondary areas, illuminate only the area of ​​the dining room or living room. 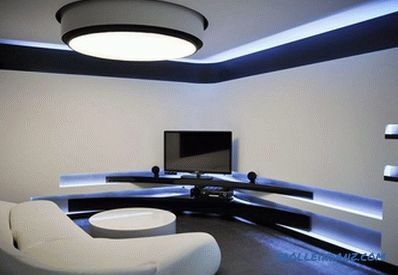 Color lighting allows you to instantly transform a laconic white interior into a bright room for a good party. 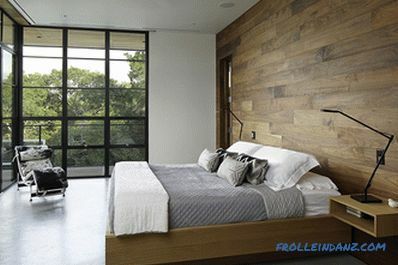 Use hidden and central lighting in room design. 3. 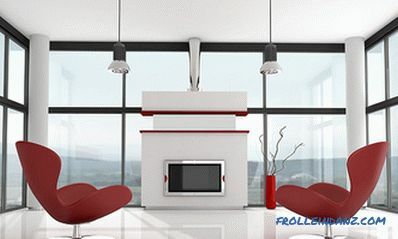 Lack of fine decor is the main feature of style. In a room where all objects are meant to play a useful role, small romantic decorative elements are not needed. 4. Use of geometrically correct forms. Upholstered and cabinet furniture are selected in a strict laconic design with a clearly defined rectangular or rounded shape. Use furniture with curls, obscure or abstract protrusions is not desirable. It is important that it be monophonic. 5. Two colors are the basis of the interior, the third is the accent. 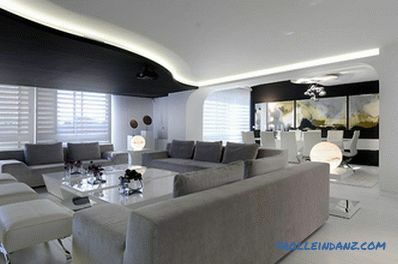 For the interior in the style of minimalism is characterized by the use of a minimum of dim neutral colors. The most popular ones are white, gray, black. As an accent, use bright saturated colors - red, yellow, blue. Red accent in white interior. 6. Use quality materials. To create a status of minimalist interior design, choose natural materials - polished stone, rare species of trees, glass surfaces, lacquered board and marble. Stone and glass are at the heart of the modern interior. When planning a project of an apartment in the style of minimalism, the designer chooses one or two primary colors. They become the basis of the color palette of finishing materials and furniture. Most often in the interiors dominated by white color, the purity and expressiveness of which emphasize the depth of black surfaces or bright pictures. 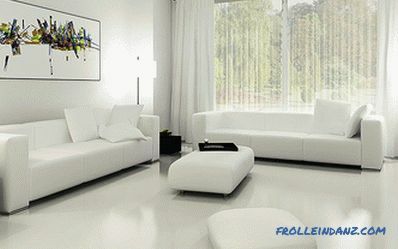 A white living room decorated with an abstract painting. The game of contrasts is a favorite theme of many minimalist designers. The most popular combination is an equal combination of white and black. The play of light, shadow and reflections in the glossy surfaces of the living room. However, white color is not a mandatory immutable rule. It is successfully replaced by the texture of natural materials. For example, based on the texture of natural wood (brown gamma), stone (sand and gray gamma) or metal (chrome-plated surface). A room in sandy brown tones. is a multi-level ceiling, accentuated by a point and hidden illumination. The multi-level ceiling zones the room. piers or columns are made of artificial marble or stone, polished cement, brickwork, expensive natural stone can also be used. 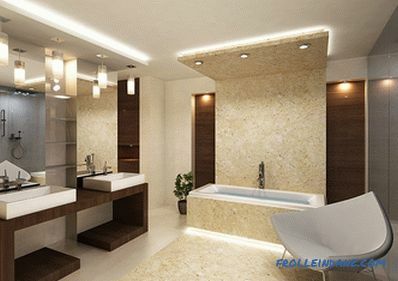 Glass, stone and wood are the basis for the decoration of rooms. To decorate the floors, select practical monochrome materials. If a self-leveling floor is used, it is made without a pattern. 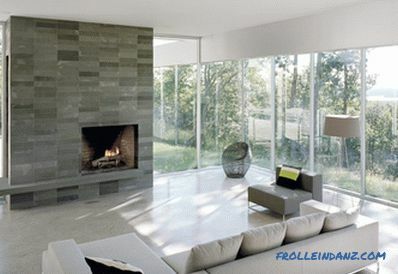 The tiles are selected high-quality, wear-resistant, preferably a large format. 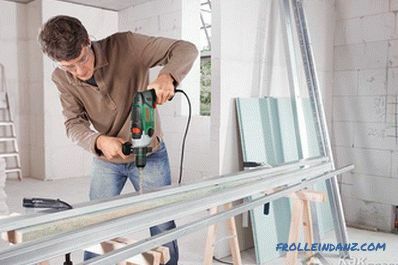 Wooden floors are laid in direct or deck method. For wooden floors they use the same wood species, not alternating dark and light boards and not laying them out with a pattern. Linoleum can also be a good option for flooring. The self-leveling glossy floor is covered with a warm carpet. A carpet with a high pile is picked up in the bedroom, living room or bathroom. It is desirable that it be the correct form, monophonic and without patterns. 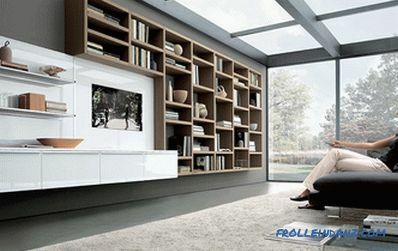 Minimalist interior design requires the selection of practical, functional furniture from simple natural materials. 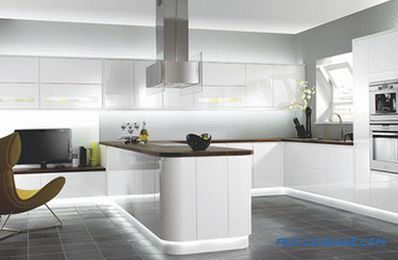 Cabinet furniture is selected from wood or plastic. 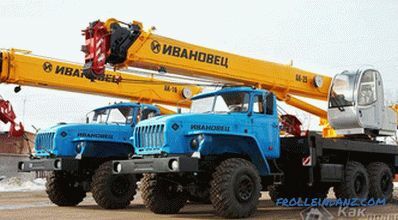 Usually it has a geometric shape, it can be both symmetrical and asymmetric. 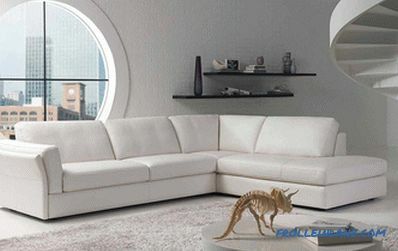 Upholstered furniture of rectangular or oval type with one-colored upholstery is most suitable. It can be decorated with chrome parts. Beds pick a simple rectangular shape. Prefer soaring models, illuminated below, large beds with hidden storage or round specimens. 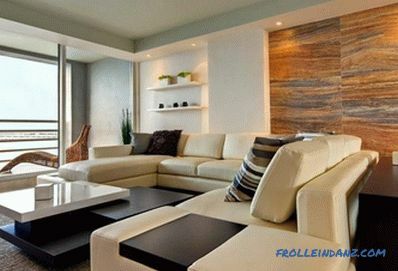 The room is not cluttered with unnecessary pieces of furniture, it should contain only the most necessary ones. 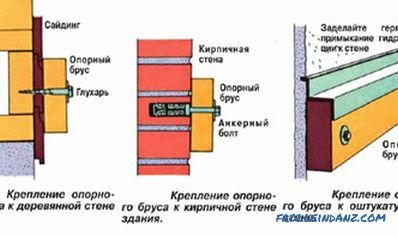 It is desirable that they combine the functions of two or more items. For example, a dining table - buffet, bed-wardrobe. 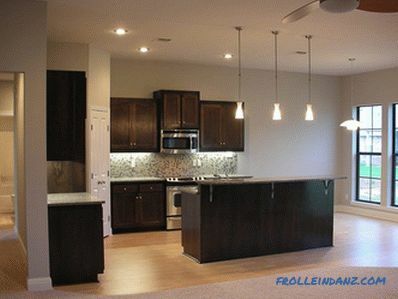 Often the room is equipped with built-in furniture and appliances, freeing up space. 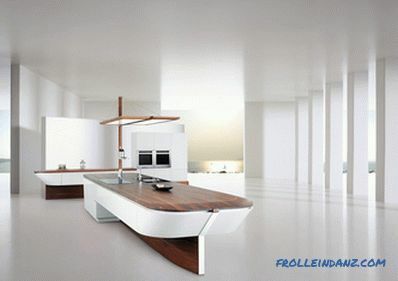 Modern kitchen, equipped with convenient appliances. Minimalism requires good planned lighting. It helps to zone, change and transform space. 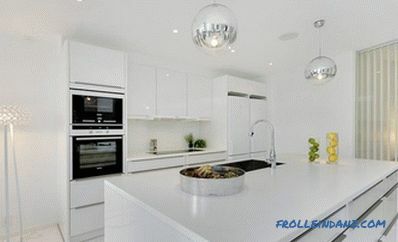 Often completely white rooms are equipped with two types of lighting - everyday and festive. That is, on weekdays in the room include ordinary lamps with white diffused light, and on holidays with the help of lighting located around the perimeter of the ceiling, furniture or in niches, the white room is painted in blue, red or red. 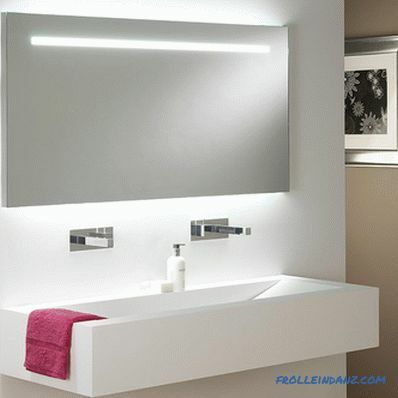 Often use hidden lighting, which is distributed from under furniture, plumbing. Rooms with high ceilings are fitted with hanging chandeliers. Ceiling lamps are selected with a discreet design and a minimum of crystal pendants. Chandeliers can be complemented with directional lamps, spotlights or floor lamps. To emphasize the simplicity and freedom of style, use a minimum of textile design. This rule applies to the design of windows and doorways. They may not shut up. If the windows are located on the first floor, then they can be closed with curtains of simple straight cut, blinds or Japanese panels. the windows are curtained with a light curtain or Roman curtains. 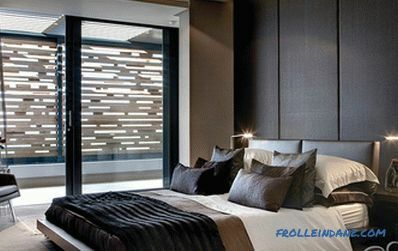 Textile design of the bedroom.